Colonna sonora dello spettacolo teatrale "Lazarus", scritto da David Bowie ed Enda Walsh e diretto da Ivo Van Hove, che ha debuttato il 7 dicembre 2015 a New York ottenendo un grande successo di critica. Dall’8 novembre di quest’anno sarà in scena anche a Londra. Oltre ai classici di David Bowie interpretati dal cast del musical, contiene anche le ultime tre incisioni in studio di David Bowie. Prodotte da Bowie e Tony Visconti e registrate con Donny McCaslin e il suo quartetto, la stessa formazione che ha suonato su ★ di Bowie, queste ultime tre canzoni - No Plan, Killing A Little Time e When I Met You - rappresentano l’ideale completamento delle performance del cast teatrale. 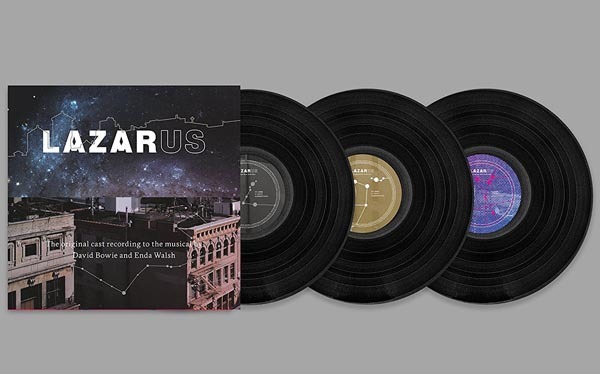 L’album include anche la versione di Lazarus contenuta in BlackStar. In vendita l'edizione esclusiva in un Triplo Vinile 180 Grammi. 1. Ricky Nelson - "Hello Mary Lou (Goodbye Heart)"
2. Michael C. Hall & Original New York Cast of Lazarus - "Lazarus"
3. 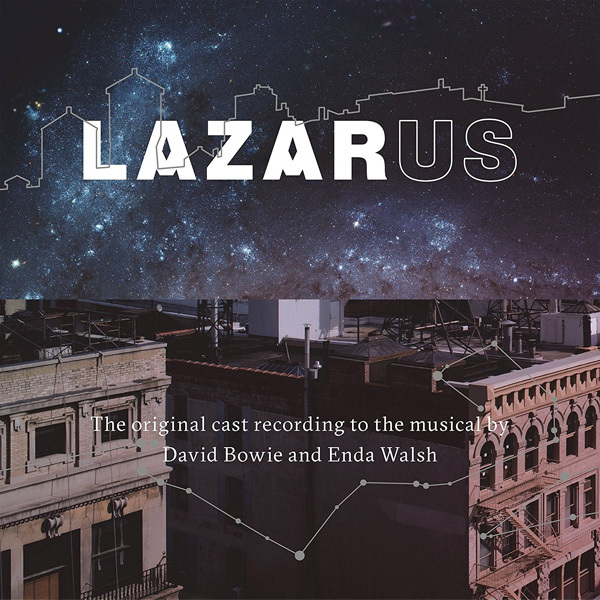 Michael C. Hall, Lynn Craig & Original New York Cast of Lazarus - "It's No Game"
4. Sophia Anne Caruso & Original New York Cast of Lazarus - "This Is Not America"
5. Charlie Pollack - "The Man Who Sold The World"
6. Sophia Anne Caruso - "No Plan"
7. Michael Esper & Original New York Cast of Lazarus - "Love Is Lost"
8. Cristin Milioti & Original New York Cast of Lazarus - "Changes"
9. Michael C. Hall & Original New York Cast of Lazarus - "Where Are We Now"
10. Michael C. Hall, Cristin Milioti, Michael Esper, Sophia Anne Caruso, Krystina Alabado & Original New York Cast of Lazarus - "Absolute Beginners"
11. Michael Esper - "Dirty Boys"
12. Michael C. Hall - "Killing A Little Time"
13. Sophia Anne Caruso - "Life On Mars"
14. Nicholas Christopher, Lynn Craig, Michael Esper, Sophia Anne Caruso & Original New York Cast of Lazarus - "All The Young Dudes"
15. David Bowie - "Sound And Vision"
16. Cristin Milioti - "Always Crashing in the Same Car"
17. Michael Esper & Original New York Cast of Lazarus - "Valentine’s Day"
18. Michael C. Hall & Krystina Alabado - "When I Met You"
19. Michael C. Hall, Sophia Anne Caruso & Original New York Cast of Lazarus "Heroes"
20. David Bowie - "Lazarus"
21. David Bowie - "No Plan"
22. David Bowie - "Killing A Little Time"
23. David Bowie - "When I Met You"